You don’t know what you’ve got ’til it’s gone. 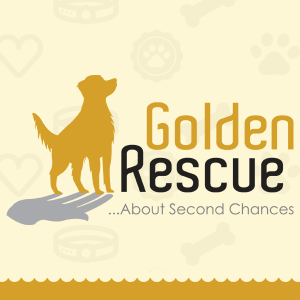 I promise this story has a happy ending. But you’ll need a bit of a backstory and personal perspective first. August 28th and 29th, 2017 are days Windsorites will always remember. Our city was hit with a storm the likes of which we typically don’t see, one that hung over our 100-mile peninsula for hours without wind to send it along on an eastward passage. Cascaded with torrential rains, lakes formed in streets and basements became underwater caves. Our drainage systems couldn’t keep up. My husband and I had been out to dinner for our second anniversary. We drove home through a river which had been the intersection of Central Avenue and Tecumseh Road, assuming a blocked storm grate was to blame. Just before bed, my husband went downstairs to our basement to check on laundry when I heard a dishearteningly toned expletive. SPLISH! SPLOSH! There we stood, ankle deep in chilly water. Well, @#$& indeed. We frantically began bailing water with laundry baskets. Our shop vac helped little to expel the cement-smelling water. We worked into the early hours, but the water was gone. We decided it would be best to take the next day off from work and clean, pack and store what we could save, lest it all happen again. And it did. Had we not stayed home, I’m sure we would have come home to an indoor swimming pool. More bailing, more vacuuming for four hours straight. Luckily my Father-in-law was able to bring us a pump and we put it to use. Water kept gushing up from our storm sewer as fast as it was sucked out with the sump pump. Finally the water stopped. Our basement was damp but free of standing water, save for our soaked belongings. Drained ourselves, we went upstairs to survey the neighbourhood and witnessed the larger impact of the rain; our newly-renovated street two feet under water, cars stalled and submerged up to their windows, people gazing in disbelief on their lawns. It was obvious we were all in for a busy upcoming Labour Day weekend, but as I walked to work the next day and saw streets lined with furniture, drywall, and toys, I realized it would be a very sad one as well. 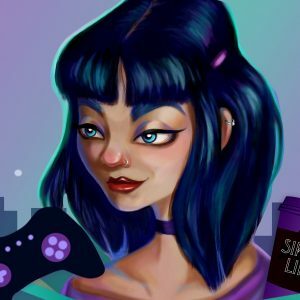 And this is where I witnessed the start of something amazing in our community. 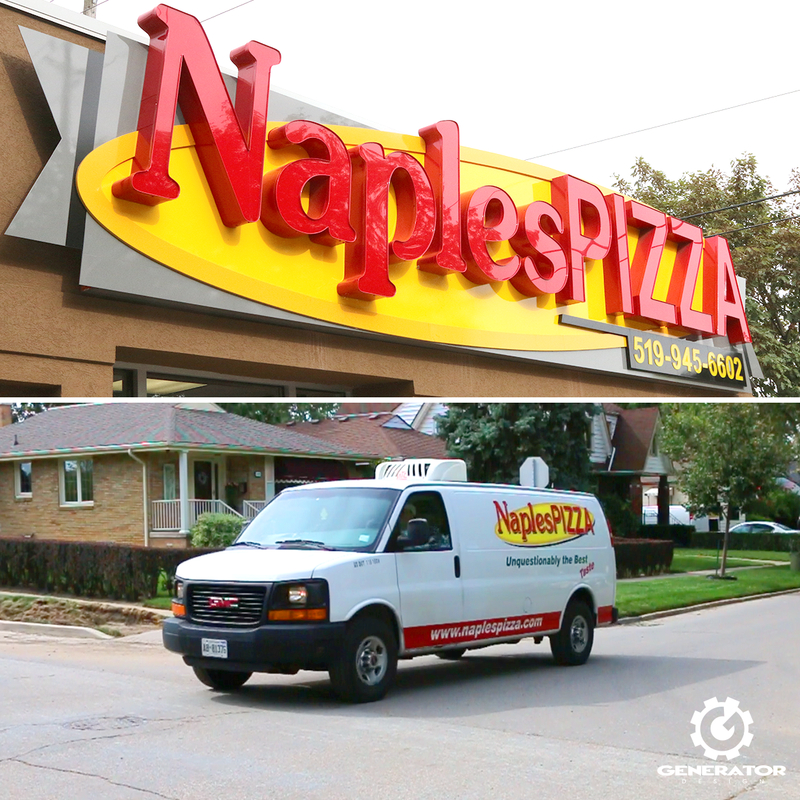 As the Graphic/Social Media Specialist at Generator, one of the clients I manage online is a local franchise, Naples Pizza. Upon arriving at the office that morning, the Generator team talked about the devastation before settling down to work. Planning for a message on social media, we wanted to know if all Naples locations were spared flood damage and open for business. 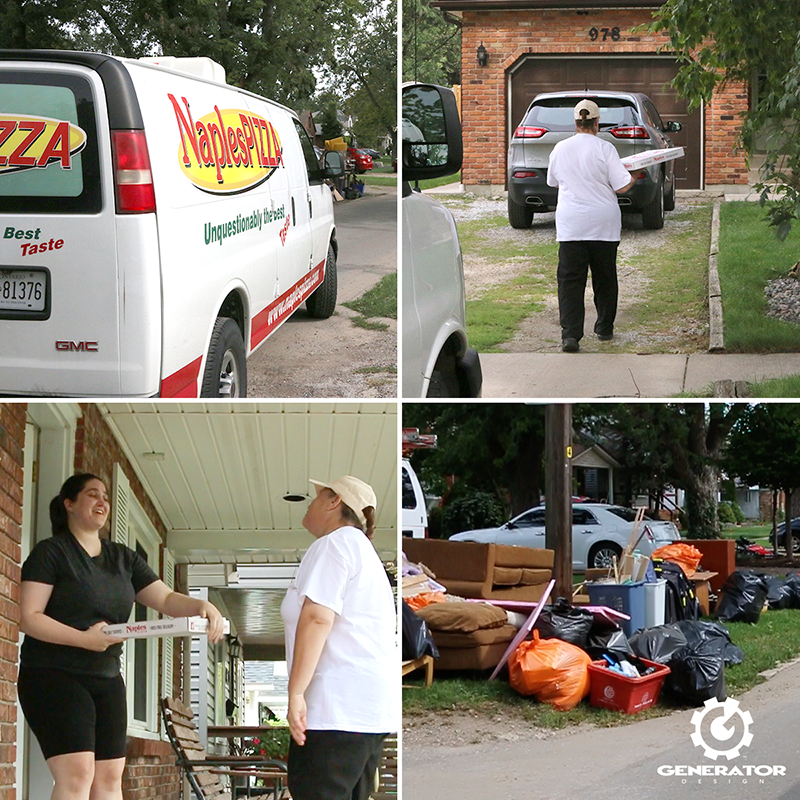 In that phone conversation with Naples, an idea was born: “What if we deliver pizzas to the victims of the flood?”. Without hesitation, Naples swung into action. This was Friday morning, and by Friday afternoon, I was in the passenger seat of a Naples delivery van, camera in hand, documenting a selfless act of kindness. 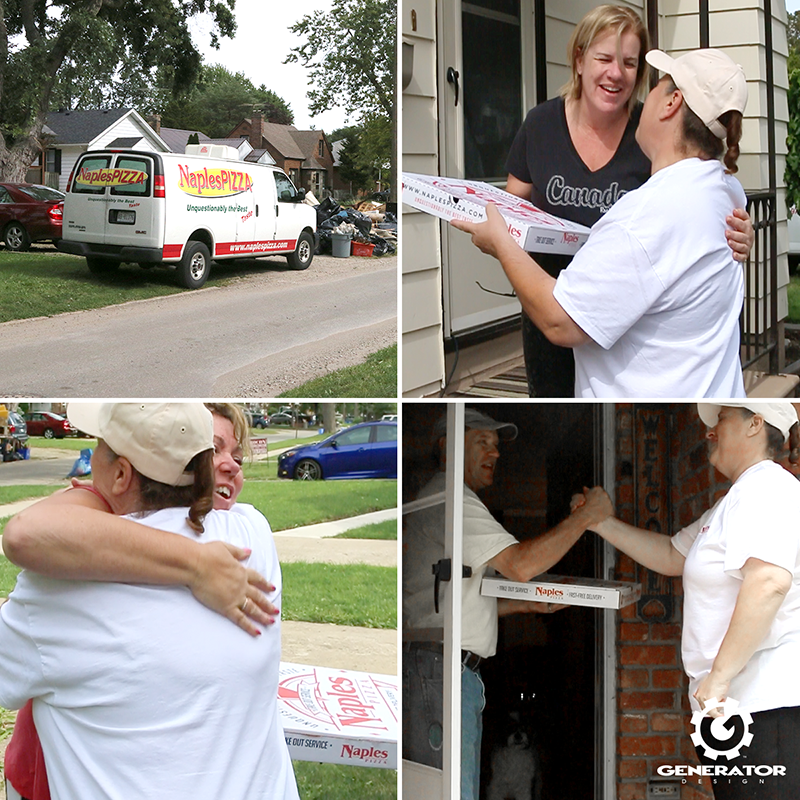 Mary, who works for the Naples Pizza head office, delivered pizzas to the most visibly impacted homes we could find around Windsor that Friday. I followed with the camera, capturing genuine gratitude mixed with expressions of amazement, some with tears. Here was a company bringing a large pizza to unsuspecting and drained people. I watched every recipient throw their arms around Mary for a hug as they shared their story with us. Three feet of water for one distraught couple. An apartment’s worth of water damaged belongings from a girl about to move out of her parent’s basement. A family’s basement full of kids toys now at the curb. And it went on like that. I had lost so little in comparison. Some drywall and panelling, plus a few old computers and small furniture lay next to my driveway, incomparable to the losses of these people pouring their hearts out to us. The residents, myself and Mary felt as close as family in those few short minutes per delivery. I saw smiles grow wider than the pizzas now in their hands. As we walked back down the driveways, I imagined the people shouting for their families to come quick for dinner, that Naples just brought a free pizza to ease their troubles. One house after another, my heart swelled with the recipient, so elated to experience much needed respite from the cleanup. Part of my position in social media is moderating the messages from customers online. All Labour Day weekend long, my phone pinged notifications from the Naples Facebook page. Absolute thanks was pouring in from all around the city, and it soon dawned on me that what had been a Friday of deliveries had become a weekend-long effort. 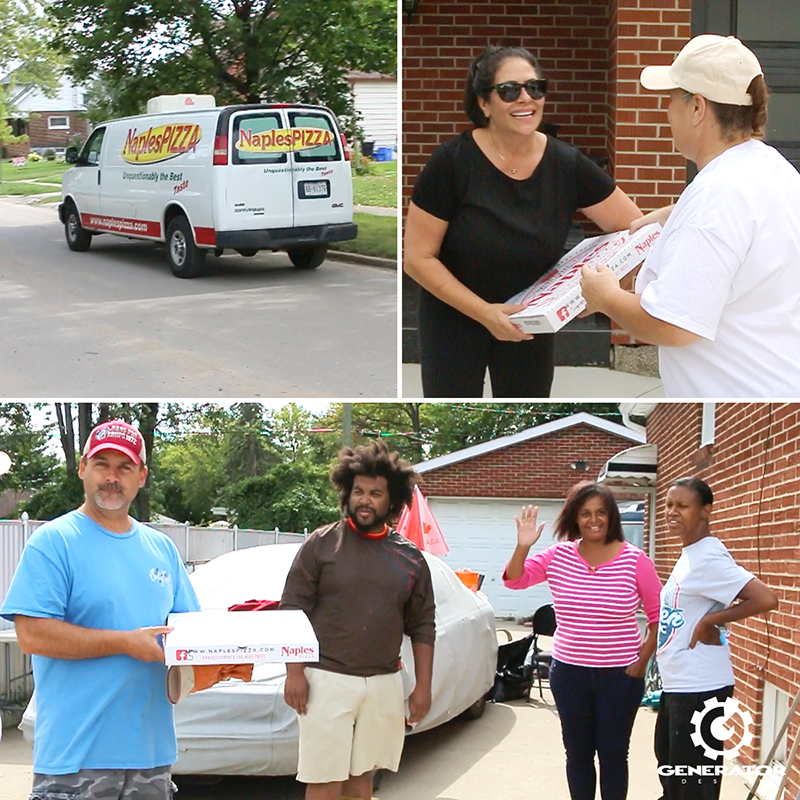 Naples had spent the entire weekend baking and delivering an enormous amount of pizzas to as many families as they could, free of charge. Thanks from all over Windsor-Essex appeared in the inbox, with people sharing their stories of receiving a Naples pizza all across Facebook. It’s hard to see what you’re texting when your eyes well up with tears. Thank you, Naples Pizza, for your amazing contribution and for an experience that transcends our daily social media endeavours.